There are many options today for clean renewable energy sources and a growing abundance in variety and methods for these technologies. Each has its own unique ability to be used in different regions and environments on the planet. There are many options today for clean renewable energy sources and a growing abundance in variety and methods for these technologies. Each has its own unique ability to be used in different regions and environments on the planet. Alternative energy systems is an overview of ideas and possibilities for energy sources, systems and how we us them on our planet. There are four main sections on this page to give a clear view of of possible alternative energy systems for our use that benefit us, support our needs and are in harmony with the planet’s natural processes, the environment and life forms. Energy sources such as solar, wind, wave, tidal, and geothermal provide clean continuous energy. Technological and system ideas for storing and distributing energy for needs regionally and globally. New plans and processes for the way we source, store and share energy within localized communities regionally. Energy technologies and systems that work in a quantum or multi-layer level of physics and quality of energy. 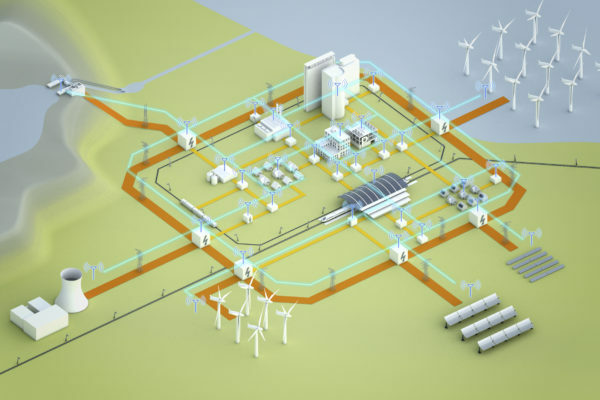 There are many options today for clean renewable (continuous) energy sources and a growing abundance in variety and methods for these technologies. Each has its own unique ability to be used in different regions and environments on the planet. The energy source for solar, wind, wave and tidal is the sun’s radiation. The density of this energy is increased by what we call weather and the inertia of energy through change and movement. For example; wave energy is a much denser form of energy (higher concentration of energy) than solar energy. Geo-thermal energy is created from the heat and pressure in the core of the Earth from the decay processes of elements. These are all clean continuous energy sources based on the planet’s natural processes. They are continuous and not limited in overall amount as fossil fuel energy sources. They are considered clean because they do not offset the balance of our environment and atmosphere as fossil fuels do, which are naturally deep in the planet, not above its surface. 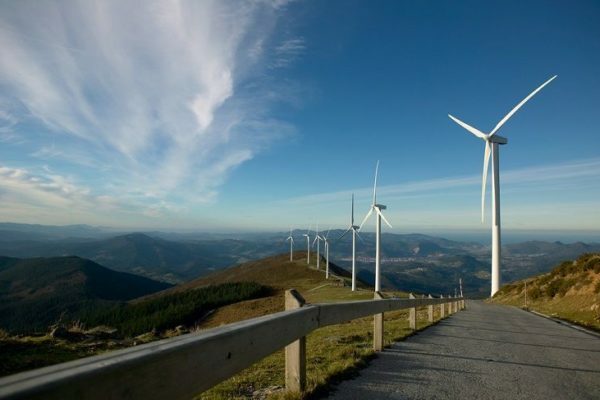 WIND ENERGY IS A CLEAN RENEWABLE ENERGY GENERATED BY THE SUN, GRAVITATIONAL FORCES & WEATHER. Wind energy is seemingly infinitely available on Earth though it has its ebb and flow with being available all the time or in vast amounts for steady power generation from it. The energy of wind is generated initially from our sun’s radiation on the planet and through changing dynamics of heat and air pressure, a more concentrated form of energy called wind is created. Wind energy is more concentrated than solar energy as a square meter of surface area of a wind turbine propeller absorbs about 2 to 3 kilowatts of energy. Wind energy offers availability to anyone for a small setup for a home to incredibly huge 50+ MW generation turbines that support regional energy needs. The cost per watt is cheaper than Nuclear Energy and close in comparability to oil and gas currently. There are major advances in turbine designs and environmental smart sensor systems that are changing the cost and productivity of wind energy to be more evenly efficient with other advancing clean energy technologies. 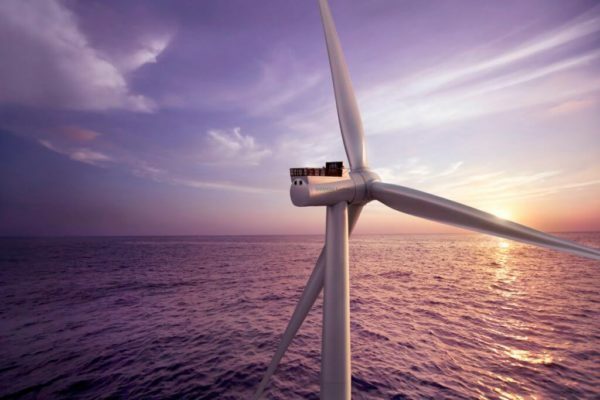 On-shore and off-shore wind farm systems offer a great expanse of opportunity for the dynamic use of wind energy technology across the planet. Wind energy systems on land are less expensive than off-shore, easier maintenance and provide easy scaling capabilities for developing large wind farms. 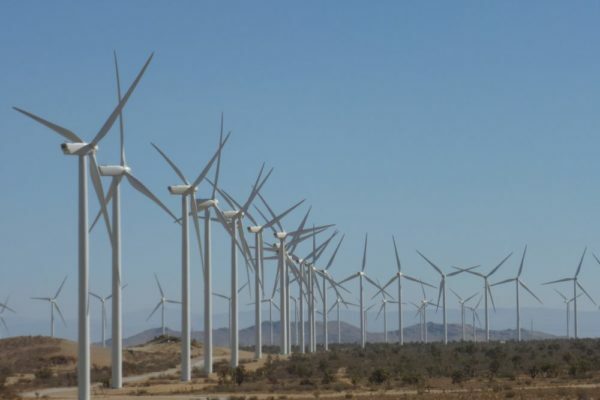 The Alta Wind Energy Center of Southern California is currently the largest wind farm on the planet at 1,500 megawatts with plans to double the capacity. Strong winds unobstructed by land and elevation change blowing across the vast open areas of the oceans can power large scale wind energy farms. Solar energy is generated by our sun’s radiation and allows for photo-voltaic technologies to transfer this energy into electric energy for our needs and use. This process requires fairly clear skies for the sun to shine its energy for maximum use and is available most of the year in most regions where people live on the planet. 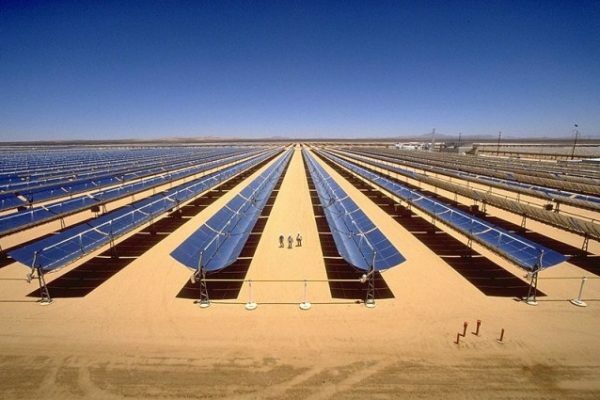 Solar energy is the least concentrated form of renewable energy at about 0.2 to 0.3 kilowatts per square meter. 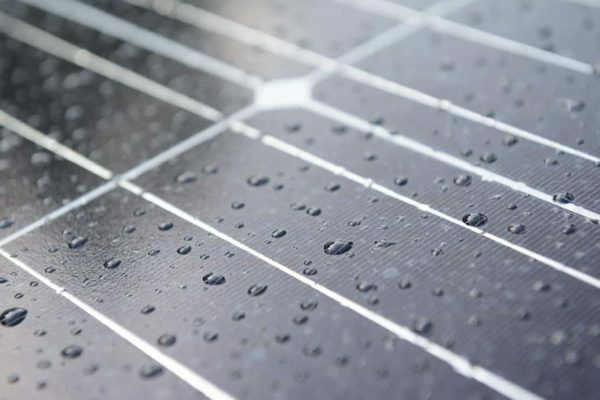 Solar panels are well known and highly produced today, typically made from silicon-dioxide or quartz sheets and have become very cost efficient with average of $2.50 to $3.50 per watt. Though you need a fair amount of surface space to set them up for individual, home or small application use and quite a lot of land space to set them up for large business, community and regional production use. There are a variety of new methods and technologies for even more effective use for solar energy and photo-voltaic systems. 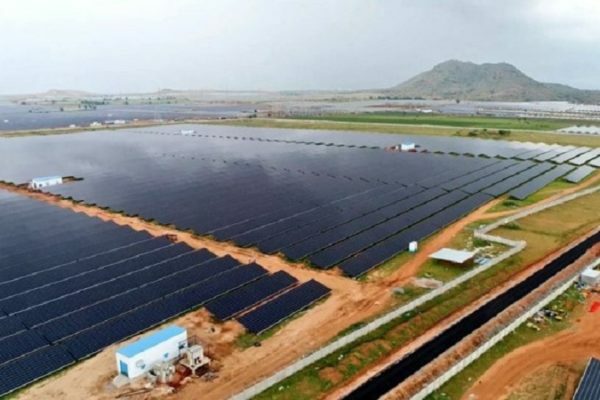 This massive 13,000 acre, 2,000 megawatt solar park run by the Karnataka Government in Southern India will soon be the world’s largest solar farm. 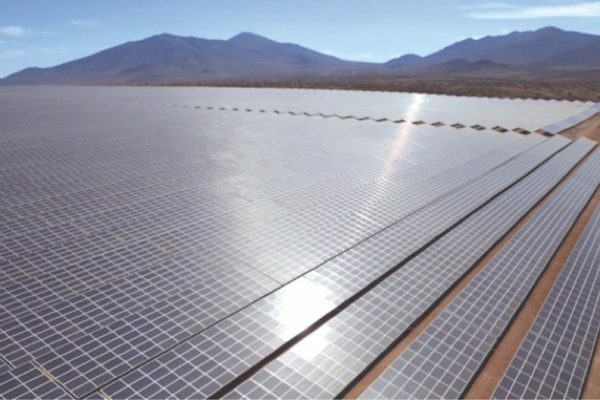 The Kurnool Solar Park in Southern India spreads out over almost 6,000 acres using over 4 million solar panels with a capacity of 1,000 megawatts..
Noor Solar Power Station consists of 3 uniquely designed solar installations totaling 500 megawatt capcity and even 7 hours of thermal energy storage. Paint uniquely designed to work both as a photo voltaic method for energy and able to extract water vapor transforming it into hydrogen energy. 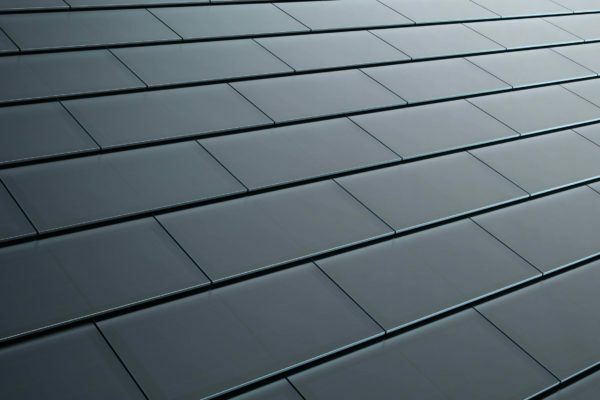 New solar panel form and function with improved aesthetics for application of a photo voltaic system for the roof of any building or structure. 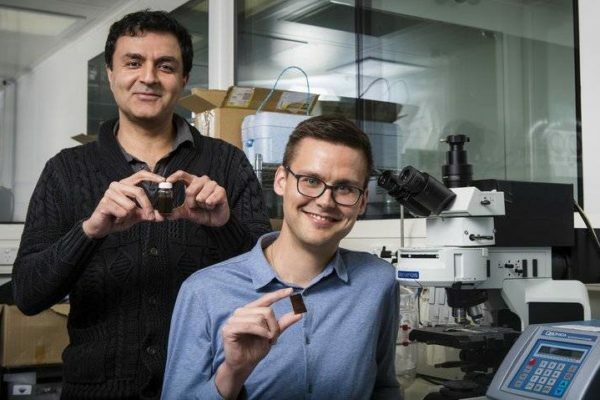 Nano Technology paint that can be applied to materials is stated to be much more effective than any other current photo voltaic system designs. Another innovative design for photo voltaic systems allowing for more functional ability to produce energy in building design for structures. 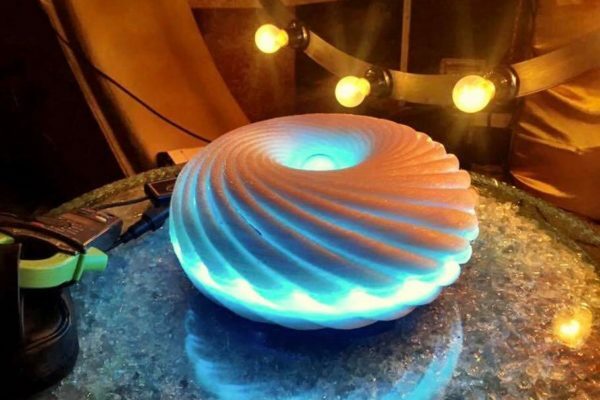 This new technology uses a wider spectrum of light and an advanced shape design to convert the light and heat from the sun into electricity. 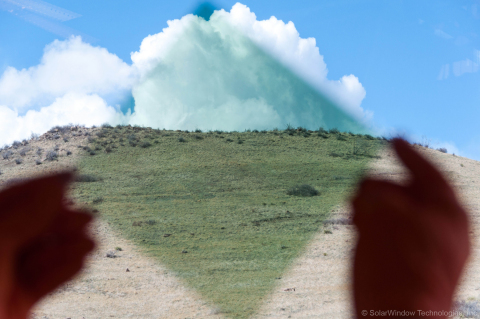 A nano-technology solar panel sensitive enough to utilize kinetic energy from rain drops and even wind as well as the sunlight when it is shining. Hydro-electric energy is sourced from river, stream, lake, reservoir and ocean water moving through turbines which turn and create electricity. The most common designs for hydro-electric systems are dams, pumped storage, rivers and ocean tide plants. Hydro-electric energy is commonly produced at low cost with high value. Power plant designs can range from the capacity of a stream all the way to a 22 gigawatt dam. Hydro-electric energy produces no carbon emissions or toxic pollution. Though it does affect water, soil and life forms in nearby local ecosystems, up and downstream. There are a few countries that produce most of there power from hydro-electricity. There are many new progressive technologies of different scale that make hydro-electric energy a valuable asset for very clean energy production world-wide. 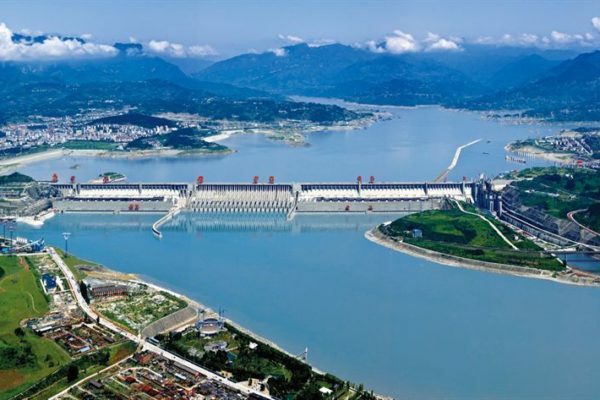 The Three Gorges Dam is the largest power plant world-wide. 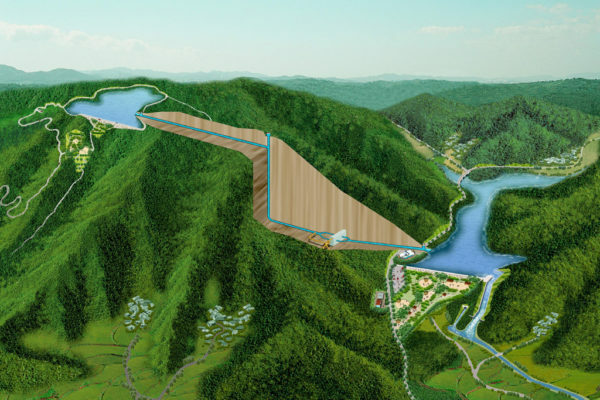 Located on the Yangtze River in China, it boasts a 22,500 megawatt capacity. 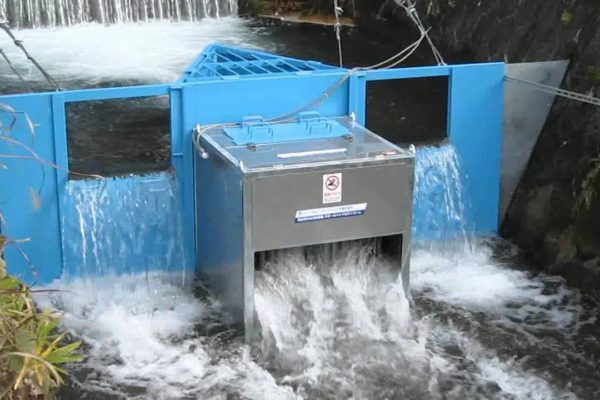 Micro hydro-electric plants are typically under 10 megawatts, decentralized, cheaper and can be used in small lakes, rivers and streams. 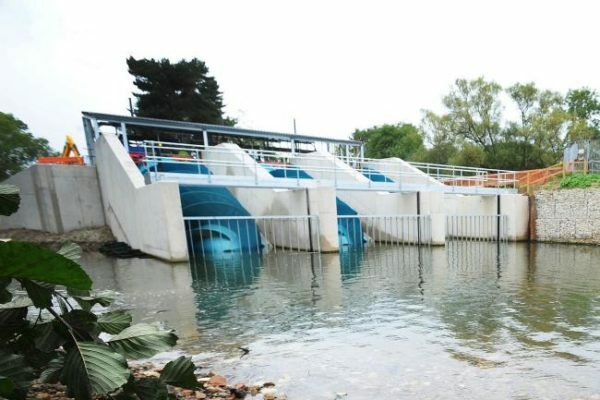 Modular hydro-electric systems allow for smaller scale builds or additions to existing operational sites at dams, reservoirs and rivers. During grid peak load times, water is released from the dam producing energy. During off-peak load the water is pumped back up to the reservoir for storage. 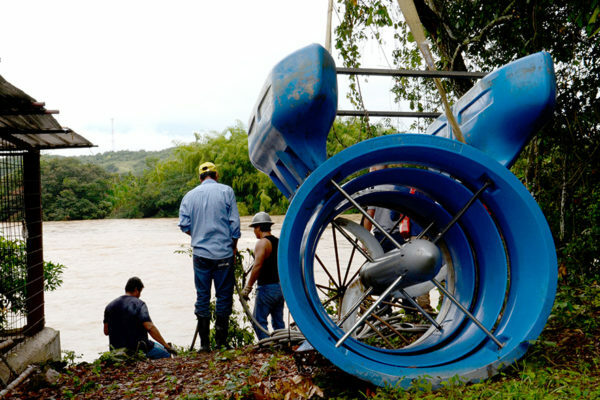 These unique hydro-electric devices which generate 5+ kilowatts, are small, low cost, environmentally safer and easily scale-able. 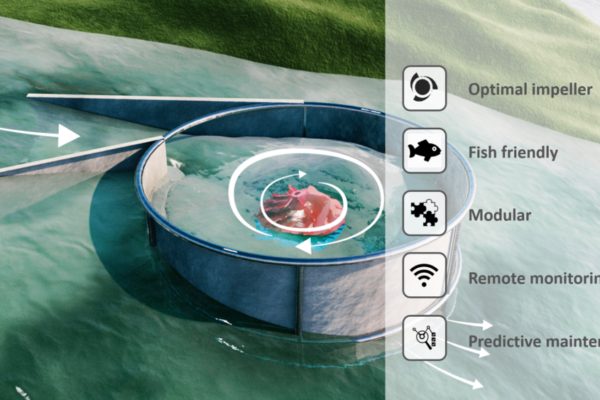 Turbulent has created a new micro, scale-able, low cost hydro-electric plant that is based on bio-mimicry design which is safer for the environment. Wave energy is created from wind blowing across expanses of the ocean surface. 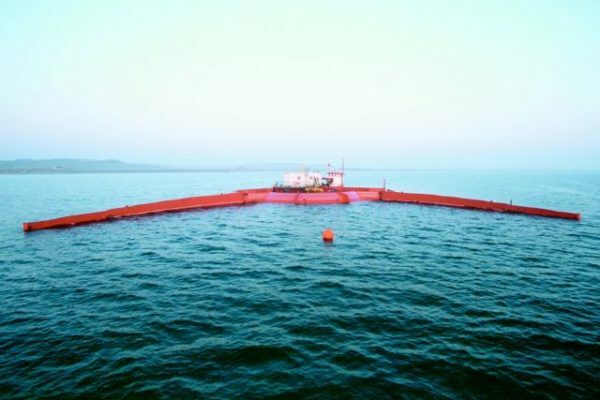 The main types of wave energy devices are point absorber buoy, surface attenuator, wave surge converter, water column, over-topping and submerged. Most of the surface of the planet is ocean water which creates the possibility of sourcing a lot of clean energy without carbon emissions. The square meter of the energy of a wave is 20 to 30 kilowatts which is highly concentrated in energy, many times more potent then wind and solar. Wave energy technologies are typically very safe for marine life. 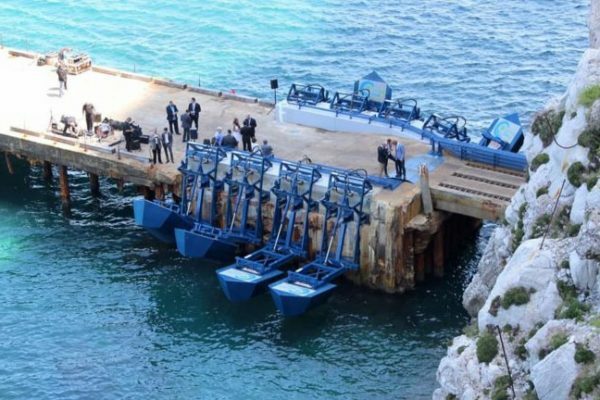 Wave Energy technologies are still in early development though there are a lot of promising new technologies that can be used in a variety of ways. Wave energy production is comparable in cost to wind and solar energy.. 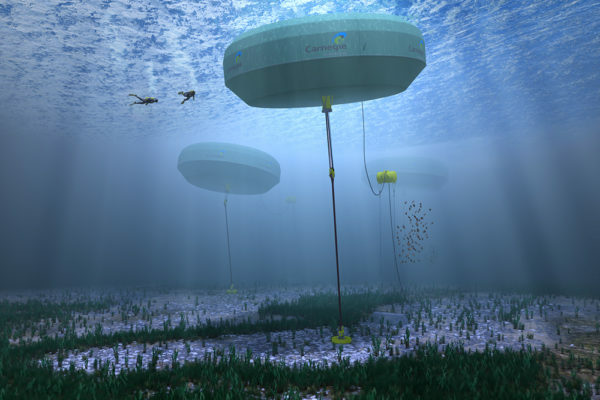 The CETO 6 is a submerged, anchored buoy with a 1.5 megawatt capacity that is modular and scale-able and can be part of a pumped water desalination system. The Wave Dragon is an over-topping type modular and scale-able wave energy device that floats on the ocean surface with capacity of 4+ megawatts each. 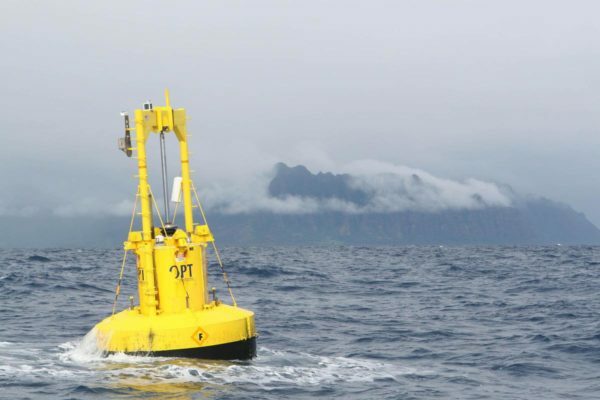 The PowerBuoy is a small, modular and scale-able wave energy buoy device that come with on-board battery storage and 15 kilowatt capacity. 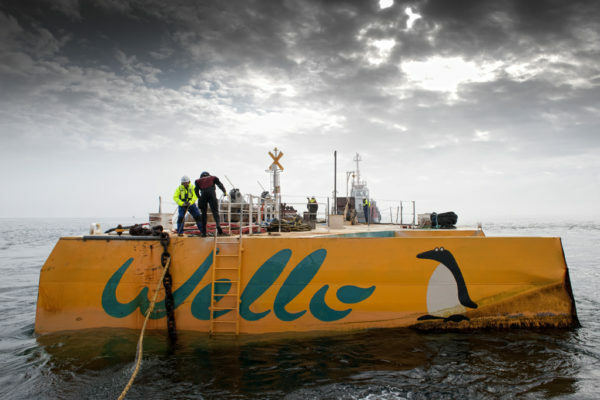 The Penguin converts wave energy into gyration which is then amplified by the asymmetrical shape of the vessel providing 6 megawatts capacity. 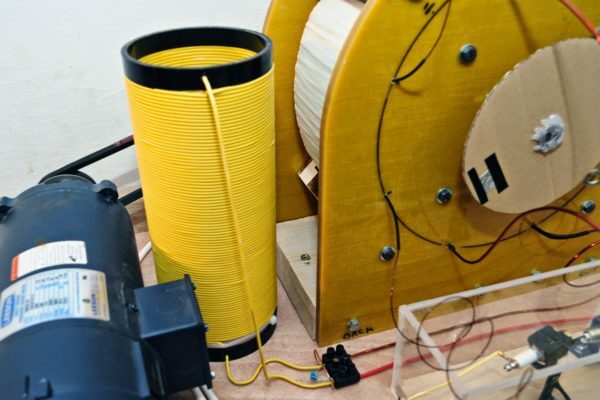 These small point absorber style floater devices have a 12 kilowatt capacity each and are perfect for scaling based modular wave energy projects. 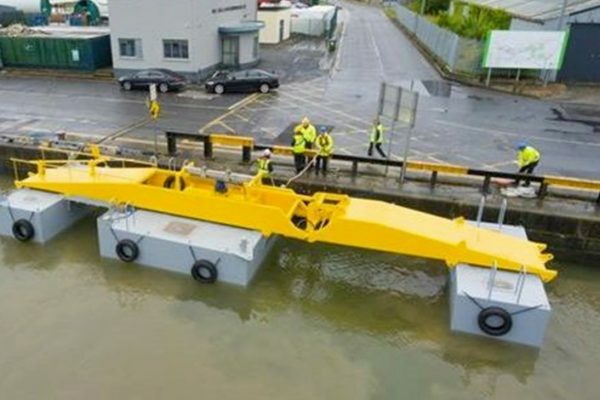 The Sea Power device is made of two pontoon platforms floating in relative movement with a hinge between them generating 10 kilowatts capacity. TIDAL ENERGY IS GENERATED BY GRAVITATIONAL FORCES THAT MOVE THROUGH THE WATER CREATING THE RISE AND FALL OF TIDES. 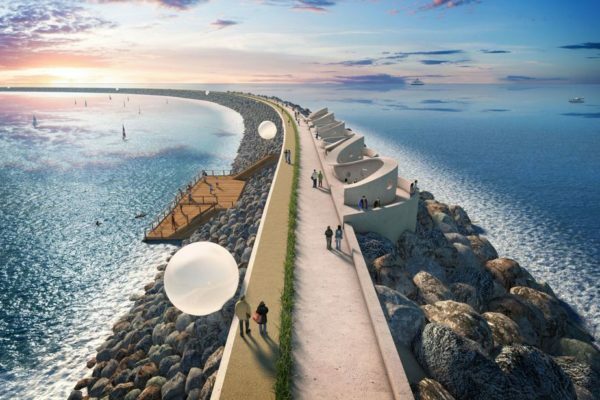 Tidal energy is created from gravity, the pull of the sun and moon on the planet causing water movement or underwater currents throughout the ocean to the edges creating the rise and fall of the tides. Electricity producing under water turbines harness the tidal created currents. Other technologies utilize the rise and fall of the ocean tides along the coast to generate electricity. 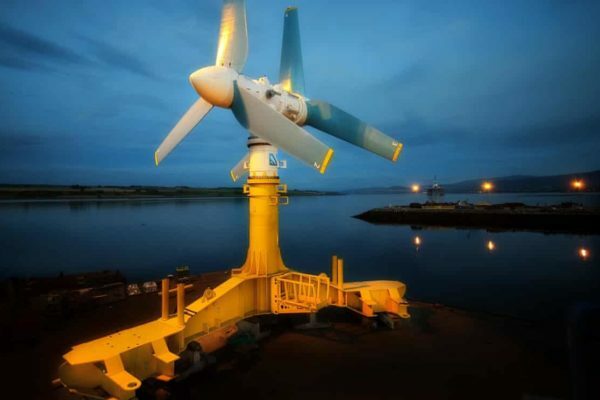 The main types of tidal energy technologies are stream generator, barrage, dynamic and tidal lagoon. Tidal energy is carbon free, safe, plentiful and fairly cost effective. Tidal power has been used in large scale plants since 1960, the Rance tidal plant in France has a 240 megawatt capacity today. These large ocean bed turbines generate a 1.5 megawatt capacity and are easily scale-able for tidal farms. They are used in many countries world-wide. 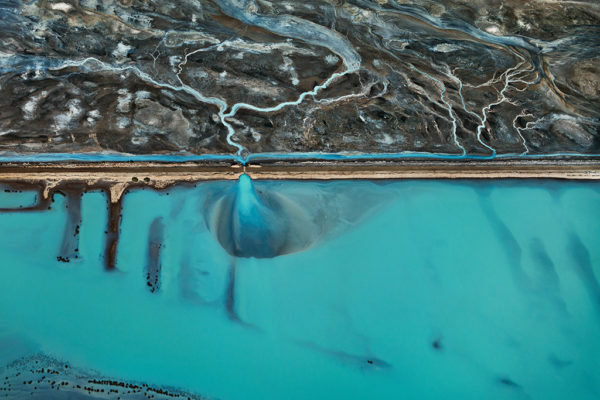 Tidal Lagoons offer a blue-print for scale-able designs in different locations along the coast. This companies Swan Sea Bay project has a 320 megawatt capacity. 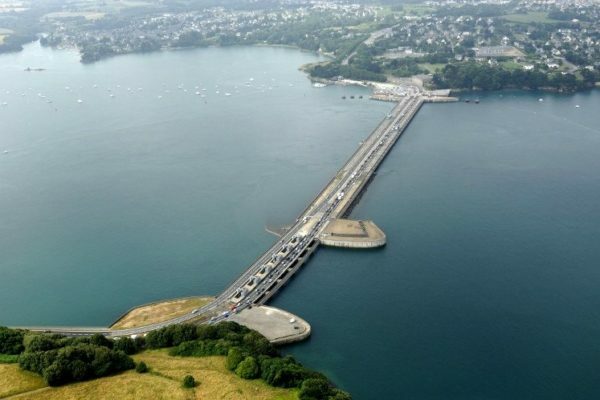 This large tidal power station is a barrage type dam in France. 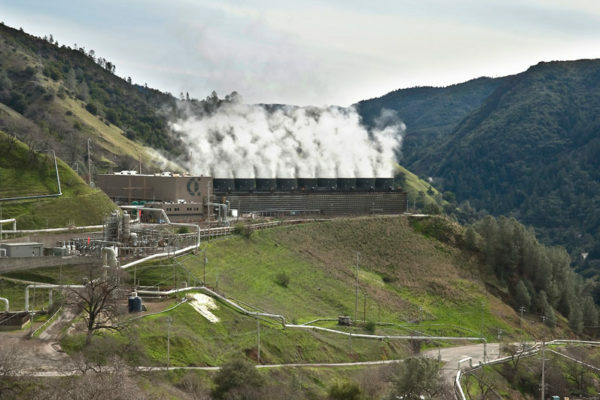 It has been used there since the 1960’s and generates 240 megawatts capacity today. GEO-THERMAL ENERGY IS GENERATED FROM THE HEAT WITHIN THE CORE OF THE EARTH BY THE DECAY OF MATTER. Geo-thermal energy is created from the thermal energy of matter deep in the Earth. 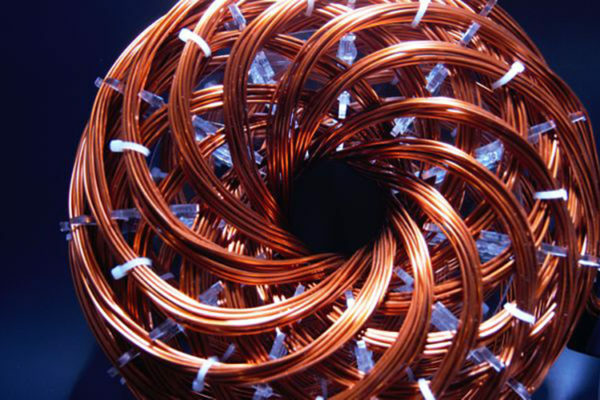 If the conductivity of heat through certain types of combinations of decaying matter is possible then a connection of energy from the core is created to the surface where Geo-thermal technologies can be used to generate electricity. 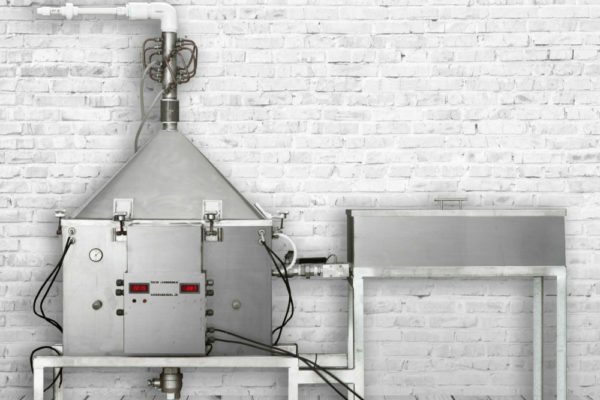 The main types of Geo-thermal technology designs are dry steam, flash steam and binary cycle power stations. 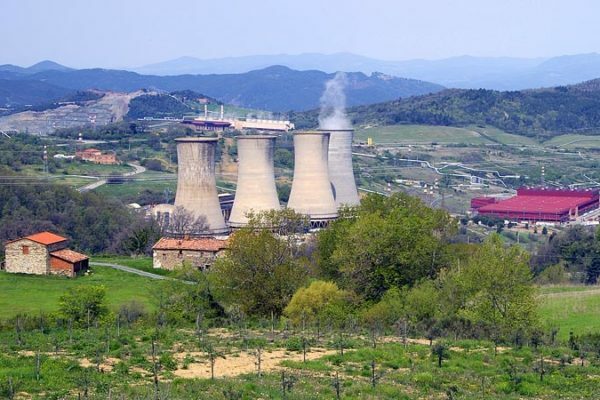 Geo-thermal power stations are usually large centralized steam plants connected to a field of wells. Geo-thermal energy is utilized widely across the planet safely, cheaply and free of carbon emissions. Some of the largest Geo-thermal fields produce over 1,500 megawatts capacity. 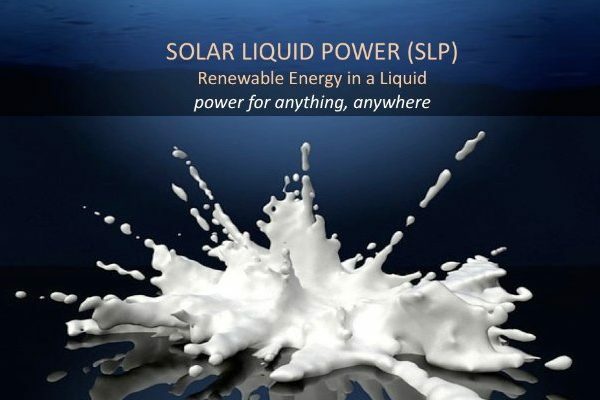 This clean, continuous energy source is plentiful, potent, reliable and cost efficient and even powers more than 3,000 megawatts of energy in the US alone. This Geo-thermal field north of San Francisco is 30,000 acres and generates a 650 megawatt capacity for clean reliable continuous energy. One of the largest Geo-thermal power stations is Cerro Prieto located in the Baja California area. I generates a huge 850 megawatt capacity. 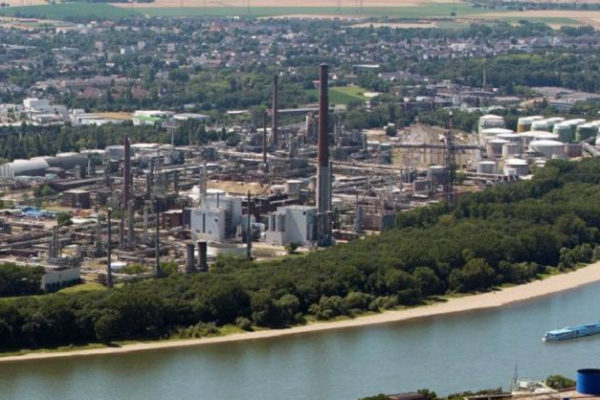 This Geo-thermal complex represents a 100 years of development and stable performance. With 34 plants combined, power generation is almost 800 megawatts. 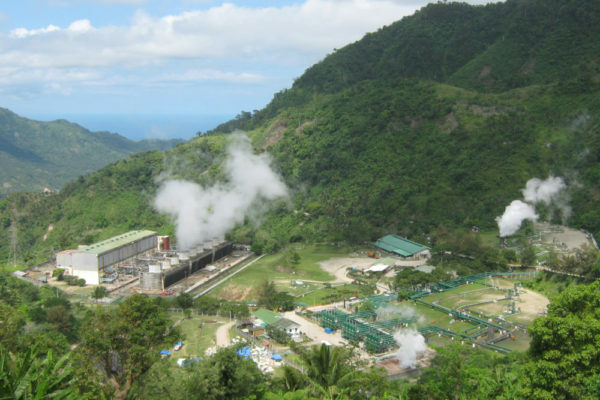 This large Geo-thermal complex in the Philippines currently generates a 450+ megawatt capacity with plans to increase energy output. 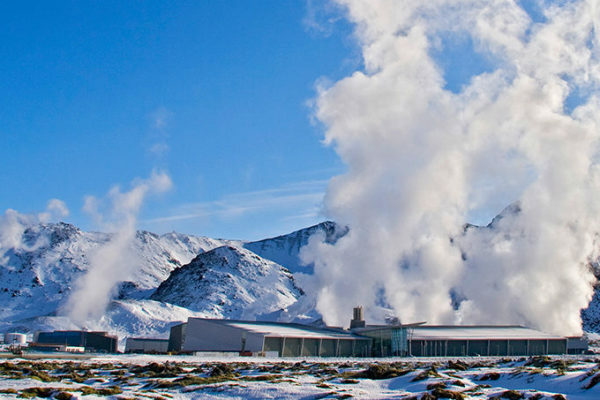 Located in Southwest Iceland, this unique Geo-thermal plant features a 300+ megawatt capacity of electricity and 130+ megawatts of hot water . 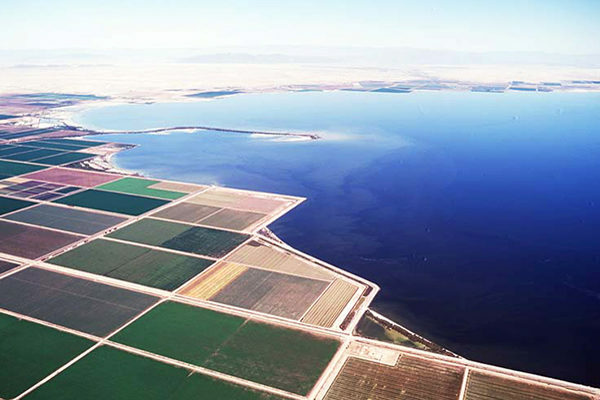 There are 11 Geo-thermal plants across the Salton Sea that combine to currently produce 450 megawatts with the possibility of up to 2,400 megawatt capacity. HYDROGEN IS A VASTLY ABUNDANT, CLEAN ENERGY & CAN BE CONVERTED INTO FUEL OR ELECTRICITY FROM WATER. Hydrogen energy is a clean, potent bio-fuel that is carbon emission free when burned as a fuel or stored in a fuel cell similar to a battery. The Hydrogen atom is considered the most abundant atom in the universe and is most easily sourced through water. With so much water on the planet hydrogen is a widely abundant energy source. The molecule of water can be separated into hydrogen and oxygen atoms using an electrical current. Hydrogen gas can then be used as a gas bio-fuel to power combustion engines, generators and industrial equipment or the hydrogen and oxygen atoms can be combined again in a hydrogen fuel cell creating usable electricity. Hydrogen energy is very powerful as a gas bio-fuel and the only emissions are water vapor. Hydrogen fuel cells allow for new clean energy storage possibilities, long lasting batteries which can store energy harnessed from other types of clean renewable energies like wind, solar, wave, etc. This electrolysis based hydrogen energy plant will be the world’s largest at 10 megawatts and allows for the conversion to clean energy for industrial applications. 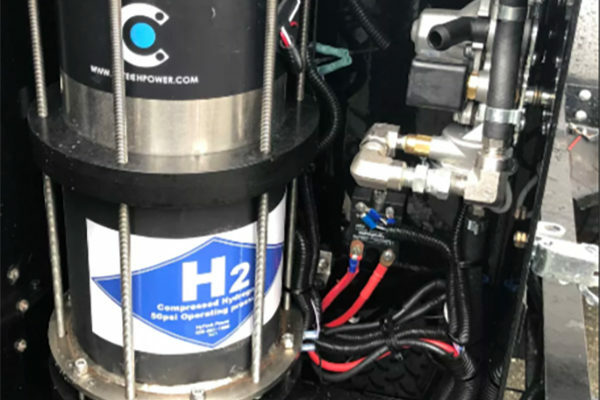 HyTech is developing technologies with hydrogen energy to improve or convert existing vehicle engines as well as new long term energy storage systems. 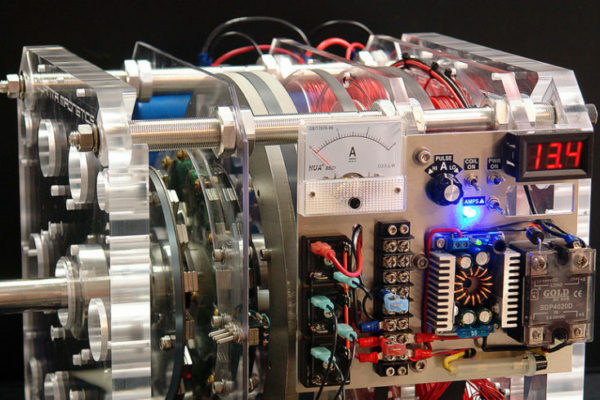 Energy Renaissance has created this multi-functional micro hydrogen generator. 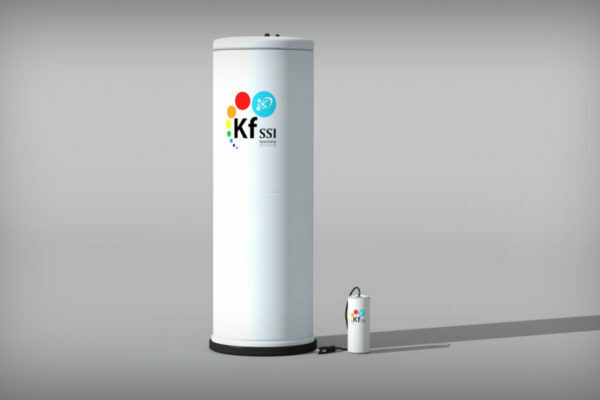 One unit can generate heat and electricity from water for many homes. 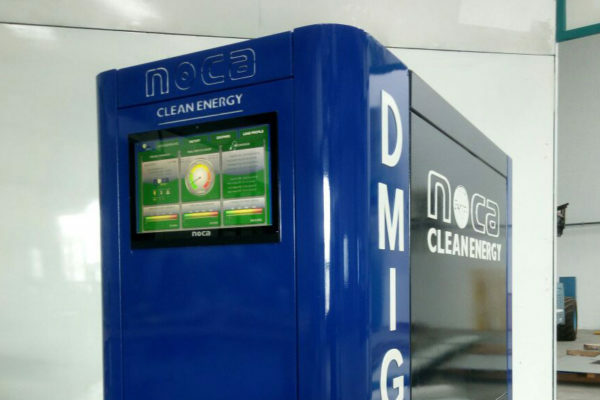 ENERGY STORAGE & DISTRIBUTION SYSTEMS ALLOW THE ABILITY TO UTILIZE CLEAN & RENEWABLE ENERGY SOURCES WORLD-WIDE. Energy storage systems provide a means to store energy in a variety of ways for our needs at different times of day and times of year. Multiple clean renewable energy sources can be stored and distributed in a diversity of ways. When using most clean energy technologies, the energy is intermittent due to weather and if using solar, there are needs for energy at night time. 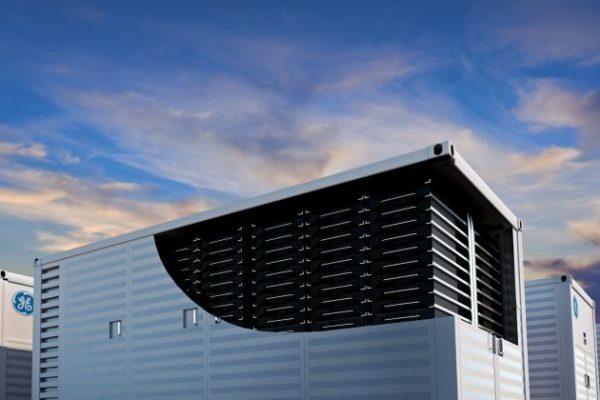 Energy storage systems provide a way to have readily available stored energy provide stability to energy grid systems and individual homeowners. The capacity of energy storage systems range in size for use, from 1 house to an entire city and region. The main types of energy storage systems are battery (lithium-ion) or bio-fuel (hydrogen) based. There are many varieties of technologies for each. Batteries store and release energy quickly and efficiently and fuel cells can store energy in large quantities and for long periods of time. Energy distribution systems are what move energy from point to point, from source to production sites to plants and generators typically through wire transmission lines to industry, commercial and residential areas. Smart grid energy systems can allow for many different sources of clean energy to be integrated into the energy grid and used efficiently. 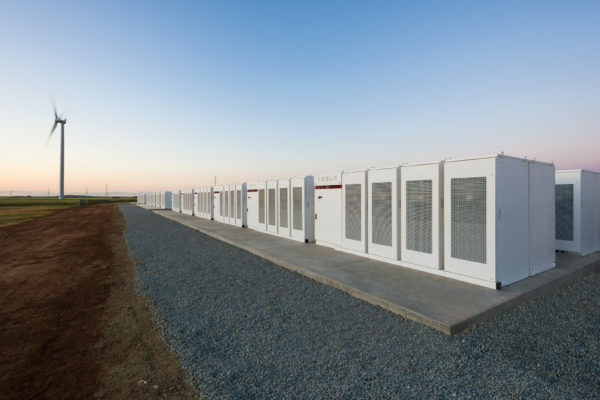 Tesla’s energy storage facility in South Australia houses lithium-ion battery Powerpacks with a 100 megawatt capacity all powered by wind energy. 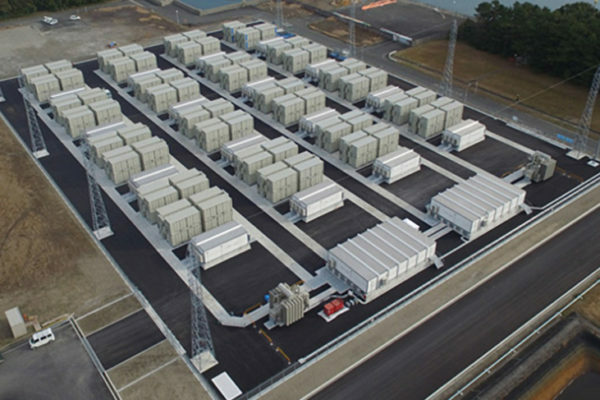 Mitsubishi has created a large battery storage facility in Japan that holds 300 megawatt/hour capacity that helps maintain the flow and stability of the local grid. Ambri has created large volume liquid metal batteries that are composed of three types of liquid metals that offer long cycles and a very long lifetime. 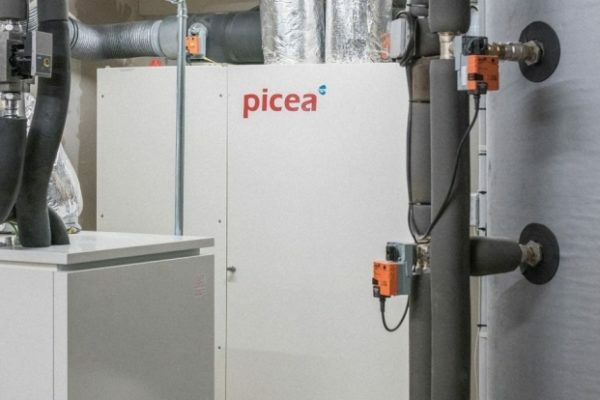 The Picea is a home battery storage system with a 20 kilowatt output that combines batteries and hydrogen fuel cells and can store energy seasonally. 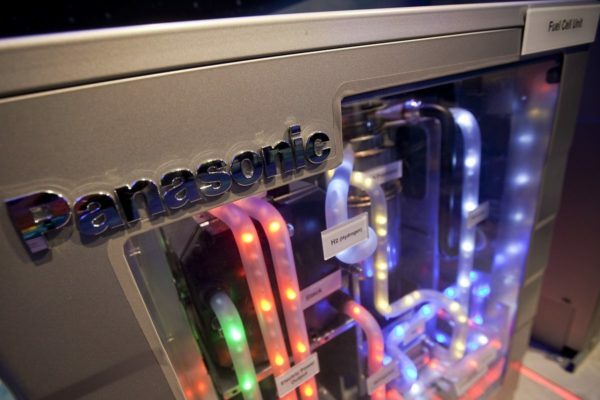 Panasonic is developing fuel cell technology for home battery storage by utilizing sunlight and electrolysis to generate hydrogen energy from water. 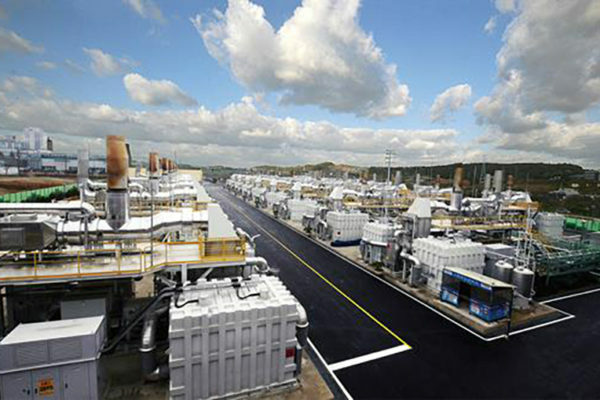 This hydrogen fuel cell facility located in South Korea is composed of 21 fuel cells that act as large batteries with a combined capacity of 59 megawatts. 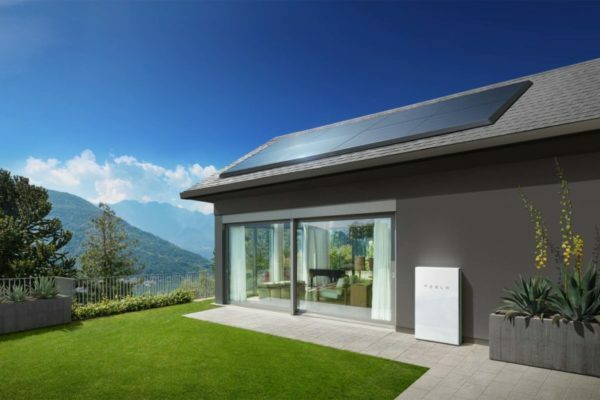 The Tesla Powerwall is a small, easily scale-able lithium-ion battery storage unit for residential homes with a 13.5 kilowatts/hour usable capacity. 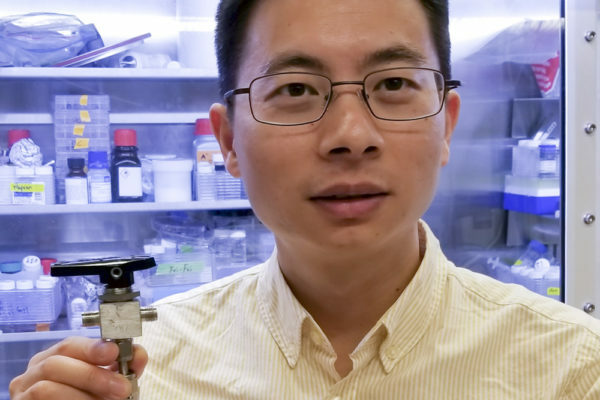 Stanford scientists have created a new special salt water battery that produces hydrogen gas that can be stored and reused per duty cycle. GE offers the Reservoir, a 1.2 megawatt modulated battery system that comes full with batteries installed reducing installation to the flip of a switch. 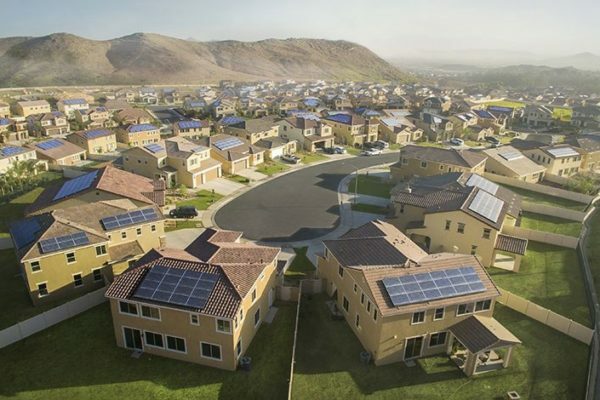 Telsa has created a virtual power plant with their Powerwall systems installed on fifty-thousand homes reducing energy needs of the grid by thirty percent. 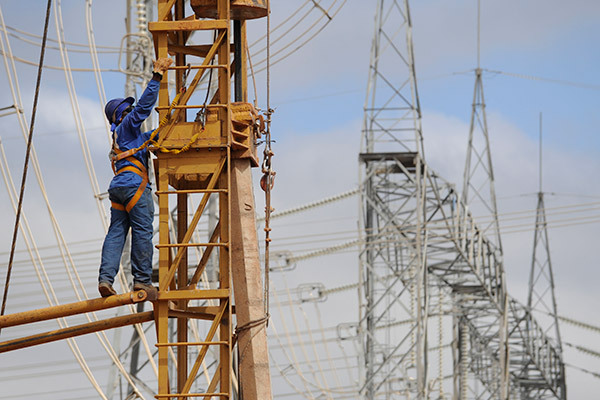 State Grid develops super high voltage capacity transmission lines for energy grids supporting more distribution of renewable energy over long distances. Smart grids are a new energy distribution system which supports more information, stability, and can integrate renewable energy sources. COMMUNITY SHARED ENERGY PLANS SUPPORTS CLEAN ENERGY LIKE SOLAR TO BE EASILY SETUP & SHARED WITH MANY PEOPLE. Wind power is seemingly infinitely available on Earth though it has its ebb and flow with being available all the time or in vast amounts for steady power generation from it. It offers ease of availability to anyone for a small setup for a home to incredibly huge 50+ MW generation turbines. The cost per watt is cheaper than Nuclear Energy and close in comparability to oil and gas currently. There are major advances in turbine designs and environmental smart sensor systems that are changing the cost and productivity of wind energy to be more evenly efficient with other advancing clean energy technologies. On-shore and off-shore wind farm systems offer a great expanse of opportunity for the dynamic use of wind energy technology across the earth. 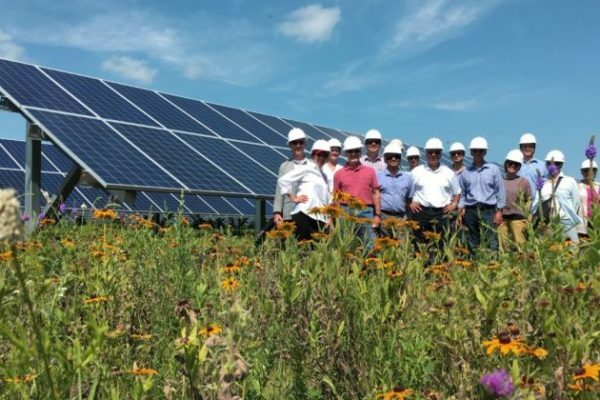 Minnesota has a progressive community shared solar energy project that currently generates 460 megawatts with over 800 megawatts in development. 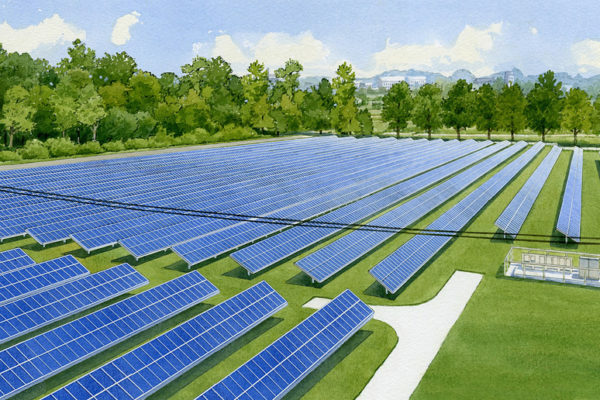 There are United States based community shared solar projects in 42 states with a combined total 1,200 megawatts of electricity currently being generated. 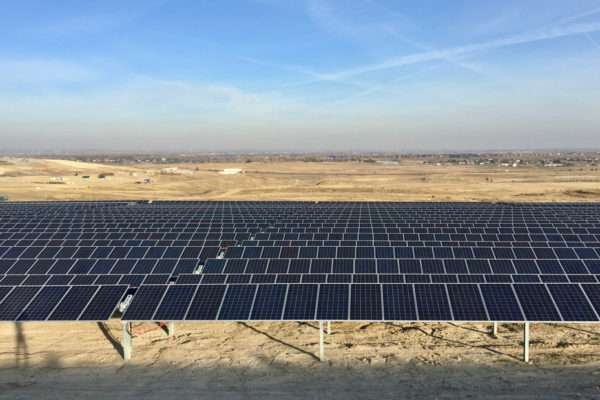 The Coyote Ridge Community Solar Farm is located in Fort Collins, Colorado. 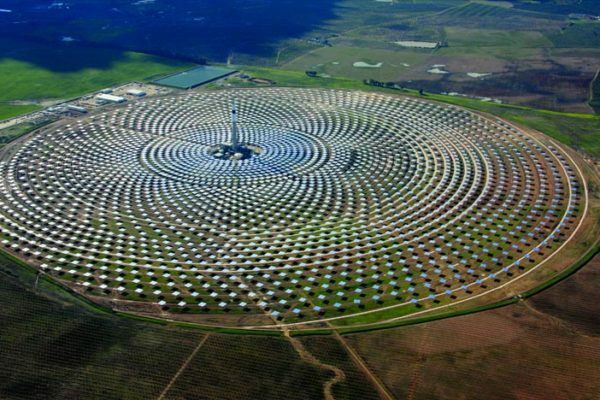 It currently generates 1.5+ megawatts of energy using over 6,000 solar panels. FREE ENERGY TECHNOLOGIES WORK WITH THE QUANTUM LAYERS OF FREQUENCY AND VIBRATION OF ENERGY SYSTEMS. There are many options today for clean renewable energy sources and a growing abundance in variety and methods for these technologies. Each has its own unique ability to be used in different regions and environments on the planet. 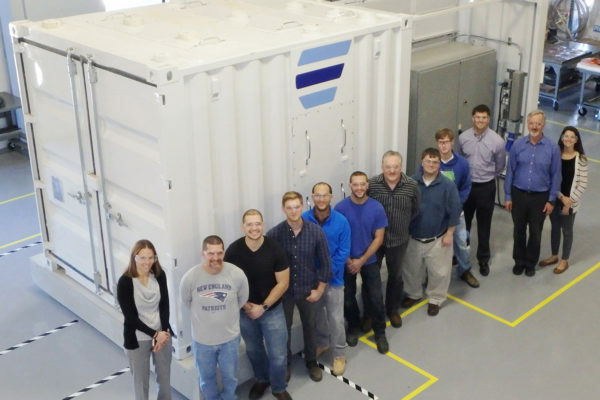 Carnegie offers a wide variety of battery storage systems designs and single storage containers with capacities up to one megawatt each. GE offers the Reservoir, a 1.2 megawatt modulated battery system that comes as a full with batteries installed reducing installation to the flip of a switch. Unity-Project.net / © Copyright 2018 / All rights reserved.